Mark's Tickets is the best place to find tickets for Blake Shelton fans. Just check this page for any new events or schedule updates throughout the year. We sell tickets to every Blake Shelton concert around the world. We know how passionate Blake Shelton fans can be about country music, so we make sure to have hundreds of tickets for every concert available right up until showtime. For those looking for cheap Blake Shelton tickets, we offer tickets starting at very low prices (many times below face value). 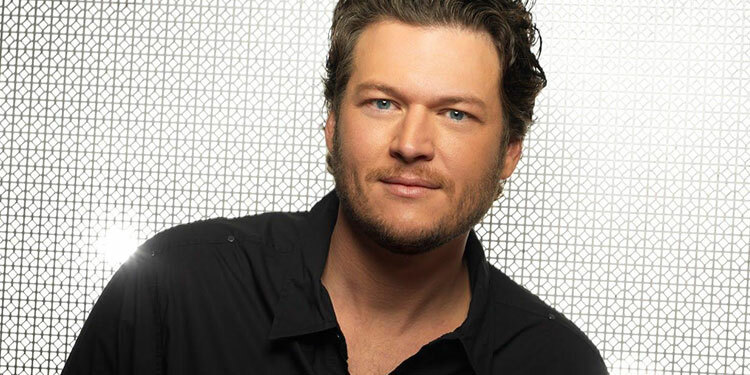 We offer tickets in most sections of every venue that Blake Shelton performs. Simply choose the city or venue that you are interested in below, and you will be able to see all of the available seats. Do not forget that Marks Tickets also specializes in sold out Blake Shelton tickets. No longer will sold out shows prevent you from seeing Blake Shelton. Blake Tollison Shelton (born June 18, 1976) is an American country music singer. In 2001, he made his debut with the single "Austin". Released as the lead-off single from his self-titled debut album, "Austin" went on to spend five weeks at Number One on the Billboard Hot Country Songs chart. This song was the first single from his gold-certified debut album, which also produced two more Top 20 hits. Although the album was released on Giant Records Nashville, Shelton was transferred to Warner Bros. Records Nashville after Giant closed in late 2001. His second and third albums, 2003's The Dreamer (his first for Warner Bros. proper) and 2004's Blake Shelton's Barn & Grill, were each certified gold as well. Shelton's fourth album, Pure BS, was issued in 2007, and re-issued in 2008 with a cover of Michael Bublé's pop hit "Home" as one of the bonus tracks. This cover was also that album's third single. A fifth album, Startin' Fires, was released in November 2008. It was followed by the extended plays Hillbilly Bone and All About Tonight in 2010, and the albums Red River Blue in 2011 and Based on a True Story… in 2013. Overall, Shelton has charted 24 country singles, including fourteen Number Ones and three additional Top Tens. Shelton has been nominated four times for a Grammy Award. Shelton is also known for his role as a judge on the televised singing competitions Nashville Star, Clash of the Choirs, and The Voice, having held this role on the latter since its inception. He is also the husband of country singer Miranda Lambert.